Do a search for “Las Vegas Community” and results link to planned communities and neighborhoods in Las Vegas. Make an effort and you’ll find groups and communities like Biking Las Vegas, vintners (yes there are vineyards in the desert), groups supporting farmers markets, the Downtown Project, an ambitious venture inspired by Tony Hsieh of Zappos to revitalize historic Downtown Las Vegas. To get your bearings it’s important to understand the layout of Las Vegas, its neighborhoods and their character. There are only two residential areas to choose from if you decide to live in Las Vegas, Summerlin and Henderson… That’s not actually true though it may seem to be the case when you talk to locals and realtors that look away from the center of Las Vegas. I’ve always been an urban dweller and it was important to find an area that was unique in character, diverse in population, in a location easily accessible to multiple parts of the valley. It was important to find an area with some sense of history. With that, I ruled out Henderson and Summerlin. When you’re relocating to Vegas getting a handle on the different neighborhoods can be a challenge. 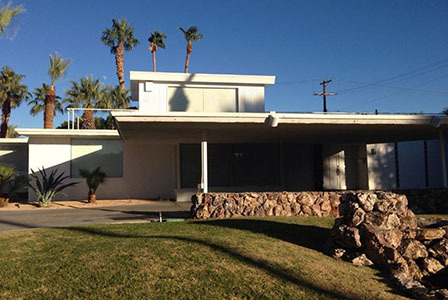 My favorite part of Las Vegas is Eastside and in particular, Paradise Palms, where beautiful Mid Century Modern history and architecture lives on. You get your “legs” in Las Vegas once you realize how the streets run and you get your bearings on what neighborhoods are West or East of the Strip, the airport is South and Downtown Las Vegas is North. The map below shows the Las Vegas metropolitan area which includes the unincorporated towns of Paradise, Spring Valley, Sunrise Manor, Enterprise, Winchester, and Whitney. Map of Las Vegas and Clark County area, courtesy of Google Maps 2014. Did I mention I’m a huge fan of mid century modern design? Paradise Palms is mid mod mecca. The area of Paradise Palms south of Desert Inn Road is within the town of Paradise. The area of Paradise Palms located north of Desert Inn Road is within the town of Winchester. Seeing the amazing homes and mid century architecture within the Paradise Palms community always gives me butterflies. When I moved to Las Vegas I wanted to a mid century house I could rent within Paradise Palms. I was determined. I saw some amazing homes to rent and I found the rental market change very quickly. Three times I was scheduled to view a rental that was suddenly available for sale only the day of my appointment to view it. Some mid mod rentals needed substantial work, the kind you’d put in as an owner, not as a renter. I became very familiar with the area of Paradise Palms and streets like Golden Arrow, Cochise, Bracken, Geronimo. I put heavy elbow grease into finding a place within the heart of Paradise Palms. I finally found a beautiful home to rent 10 minutes away. It wasn’t mid mod, but an amazing oasis. At the time I, paid $1600 monthly to rent a beautiful 3000 sq foot home. The location was still in Paradise and I found out I was less than 10 minutes from the Pinball Hall of Fame. Yasss. The best newcomer advise given to me was to remember when you’re driving towards the Stratosphere with the Luxor behind you, you’re going north and that Tropicana and Flamingo run East and West. With that I had the baseline I needed to drive my way around The Valley and become familiar with the city and towns that are part of the Las Vegas metropolitan area. The Valley includes three incorporated cities, Las Vegas, North Las Vegas and Henderson. Clark County includes the cities of Las Vegas, Henderson, North Las Vegas, Boulder City and Mesquite. While Clark County seems to have the most action with the Strip located within, it covers a small part of Nevada at the southeast corner of the state and is one of 16 counties overall. As incorporated cities Las Vegas, Henderson and North Las Vegas each have their own municipal charter and local governing bodies. As you dig deeper, details can get a little confusing about towns vs townships, and who governs who. There’s the City of Las Vegas, Las Vegas Township, unincorporated towns like Paradise and Winchester and areas like Summerlin and Summerlin South which are master planned communities with i.e., Summerlin comprised of “villages” and governed by neighborhood housing associations. Las Vegas has plenty of history and it often takes some digging to understand what that history is. Considering Las Vegas has a population of roughly 600,000 people, according to the Las Vegas Convention and Visitors Authority, it welcomed over 40 million visitors in 2013. It’s easy to see how it’s focus remains on what’s new and what’s next versus what’s old and what happened. A list of organizations focused on preserving and promoting the history of Las Vegas can be viewed here. The magic of Paradise Township, its residents and places to visit merits a future post of its own. True or False? 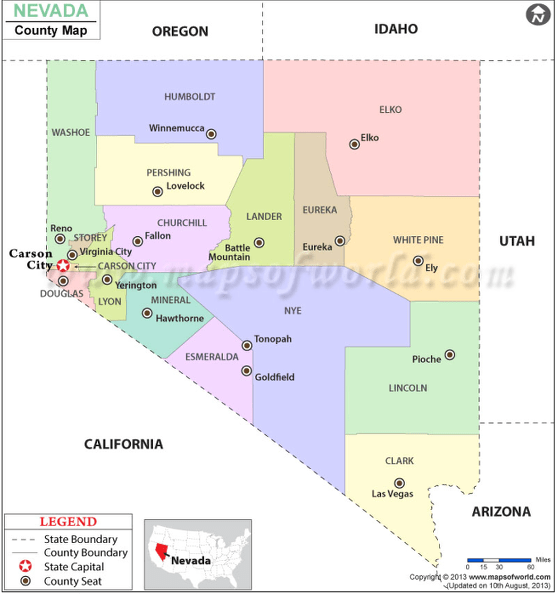 Hendertucky is a term used in reference to Henderson, Nevada. Henderson was recognized as the sixth safest place to live in the United States, a write up by the Las Vegas Sun published in November 2013 offers interesting details on it’s safety record: Henderson again ranked among safest in the nation. In the meantime, the answer is True, Hendertucky is a term used to reference Henderson, but not the polished areas like Green Valley Ranch, Black Mountain Vistas and Anthem.